Like the opposition Peoples Democratic Party who was enmeshed in a legal battle over leadership tussle for several years, the ruling All Progressives Congress, APC has also found itself in a similar scenario. 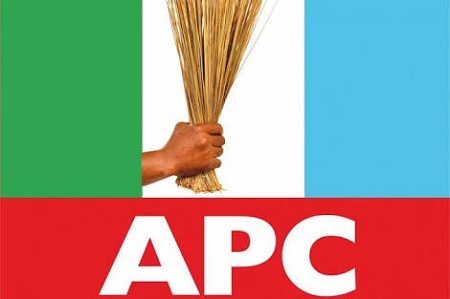 A chieftain of the All Progressives Congress in Imo State, Mr. Okere Uzochukwu, on Friday, has filed a suit before the Federal High Court in Abuja challenging the extension of the tenure of members of the National Working Committee of the party by one year. The tenure of the leadership of the party at the state, local government and ward levels was also extended by one year, according to the decision taken by the National Executive Committee of the party on February 27, 2018. According to report by Punch Newspaper, Uzochukwu, who said he was an aspirant to the state chairmanship position of the party in Imo State, contended in the suit marked, FHC/ABJ/CS/219/2018, that the tenure extension was undemocratic and violated the provisions of the constitution, the Electoral Act and the constitution of the APC. He sued the APC and the Independent NationalA Electoral Commission as the first and second respondents. Uzochukwu argued through his lawyer, Mr. Nnamdi Okere, that the extension of the tenure of the officials of the party at various levels was “the primary function and responsibility of the national convention” by virtue of the provisions of Article 13 and 13 (3) (ii) of the constitution of the APC 2014 (as amended). He, therefore, stressed that the tenure extension was unconstitutional and undemocratic since the national convention did not hold. He urged the court to compel the incumbent John Odigie-Oyegun-led NWC and others to vacate their respective offices with effect from June 1, 2018, when they would have completed their four years tenure.